A 22 ans il a déjà fait 18 fois la grande traversée Est-Ouest. « I started when I was 16 with my dad. He drove a truck and trailer across with a furniture company. After about 10 times across I wanted to start doing it myself and with friends instead of doing it for work because I wanted to live my own adventures out of it. So once I graduated high school, I bought a car and drove across 5 times meeting new people and pitching up different jobs in different city’s across Canada. When I hit 20 years old I realized that I wanted a little more than that.. I wanted to back pack across other countries, and experience a whole new life style. So one day I just grabbed my back pack and some supplies and started hitchin. I made it two full times across Canada and now I’m on my 3rd time hitchin. I wanted to gain experience learning how to survive with little to nothing. How to sacrifice needs for wants. Mitch comes from Canada. He is english mother tongue. At the age of 22 he has already crossed 18 times Canada from East to West and vice versa. 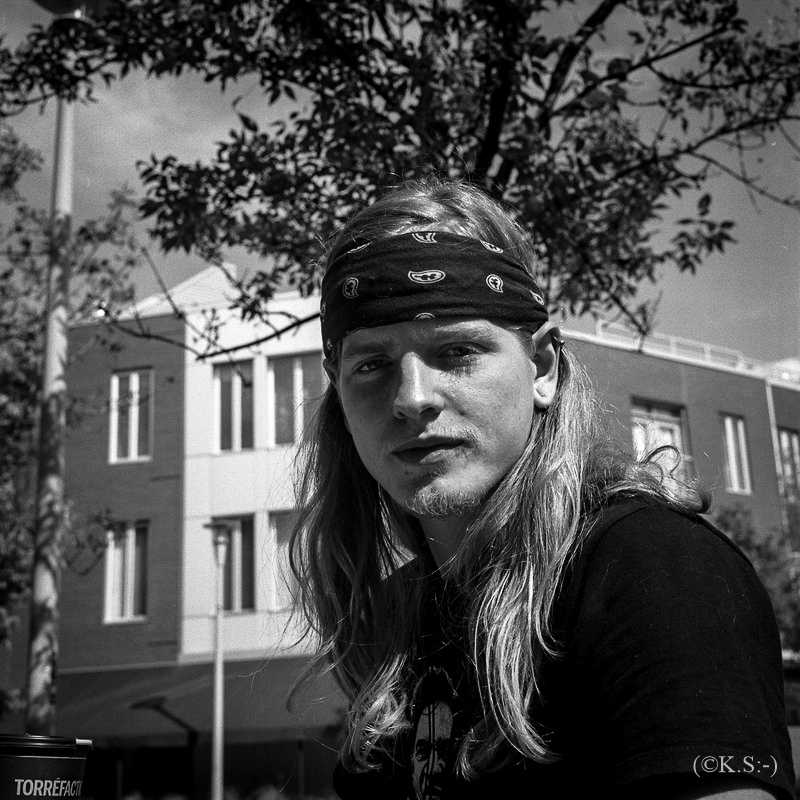 Publié dans Montréal, Portraits, QuébecÉtiqueté analog, black and white, capter un regard, cross canada, Mitch, road killer, Rolleiflex, squareformat, traverser le canada, VoyageMettre en favoris le permalien.